Didn’t I tell you that an exlusive Rayman Legends demo for Wii U wouldn’t be enough to placate fans upset about the game’s delay? 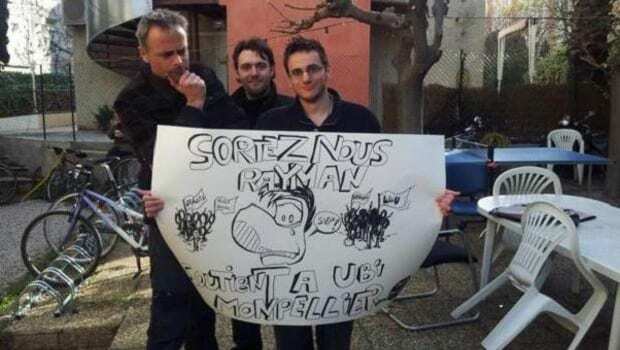 Now it’s not just the gamers that are upset; Rayman creator Michel Ancel and other members of the game’s development team are protesting Ubisoft’s decision as well. They have been seen in photographs holding a poster encouraging Ubisoft to “Release Rayman. Support Ubisoft Montpellier.”, according to Eurogamer. Other posters reference the game’s previous release date of February 28, which has been pushed back several months to allow for a simulataneous release on all three major consoles.